The city of Holland, Michigan, and Hope College have been mutually linked since their founding in 1866 on the shores of Lake Michigan. The town’s historic downtown lies just two blocks from campus, and members of the public often attend concerts, lectures, and theater performances sponsored by the college. 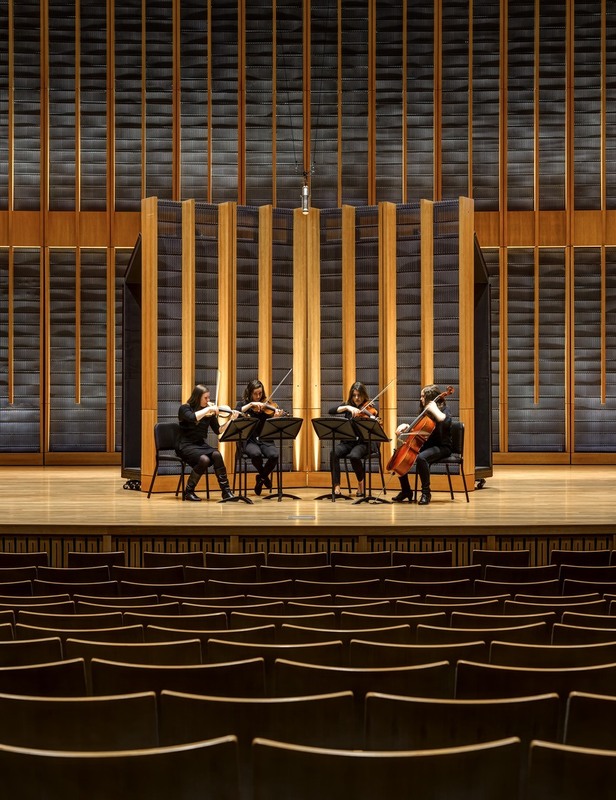 When Hope decided to replace Nykerk Hall in the middle of campus with a new student center, the college’s music department was left searching for a home. 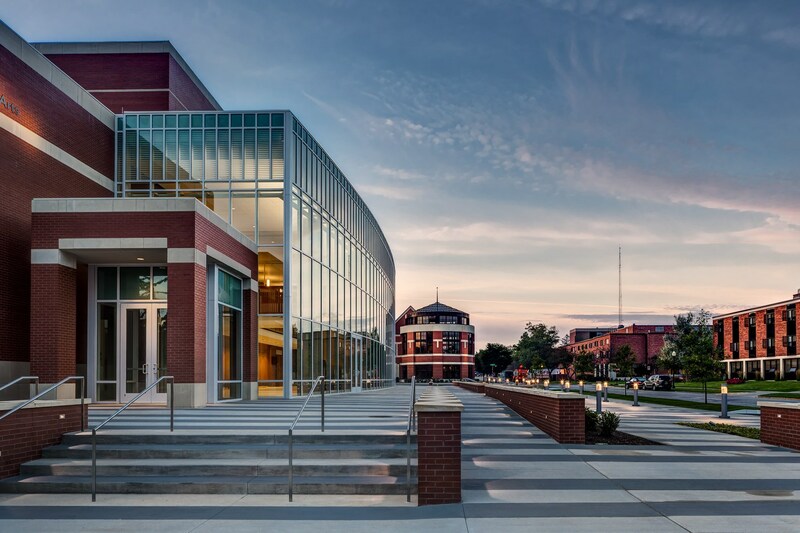 Campus leadership committed to building a new music facility, including an 800-seat concert hall, and swapped land with the city to acquire a site midway between campus and downtown. The new site presented challenges, however: a freight line ran nearby and vibrations from passing trains could potentially affect acoustics. 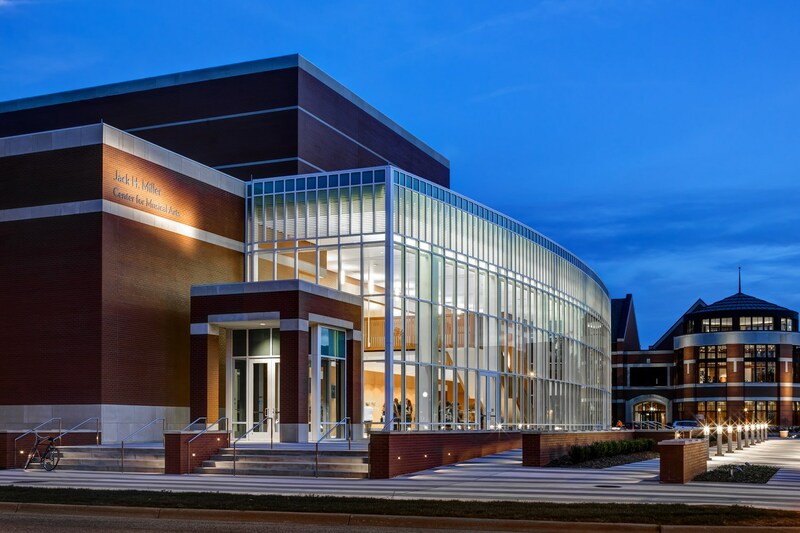 Working with faculty, administrators, and local stakeholders, HGA designed a 70,000-SF structure that includes faculty offices, classrooms, rehearsal halls, a 125-seat recital hall, and a concert hall large enough to accommodate touring orchestras and other ensembles. Beautiful detailing—from the glassed-in lobby to the wood-framed central staircase—add to the sense of welcome among students and campus visitors alike. And those trains? To mitigate acoustical problems, HGA’s design team proposed a series of acoustically isolated concrete boxes within the building infrastructure. 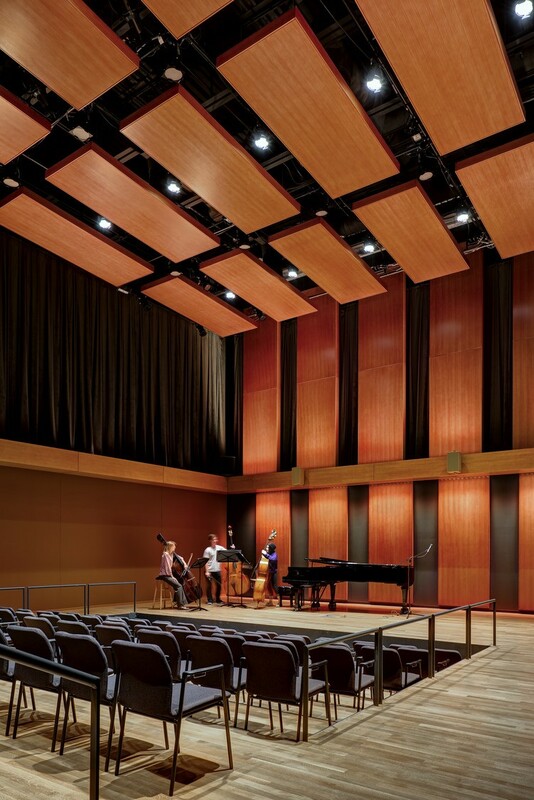 Concealed concrete panels frame the concert hall, for example, and exterior masonry further insulates the room, creating an impermeable 23-inch-thick wall that blocks all sound and vibrations. Even loud locomotives cannot be heard.